Christmas is right at the door and with it the crazy Christmas decorations. However, not all of us have the time to buy new decorations every year, and also no budget. Today, we teach you how to make balloon Orbs. For those who have a way for the visual arts, making the decorations yourselves can be a great option. 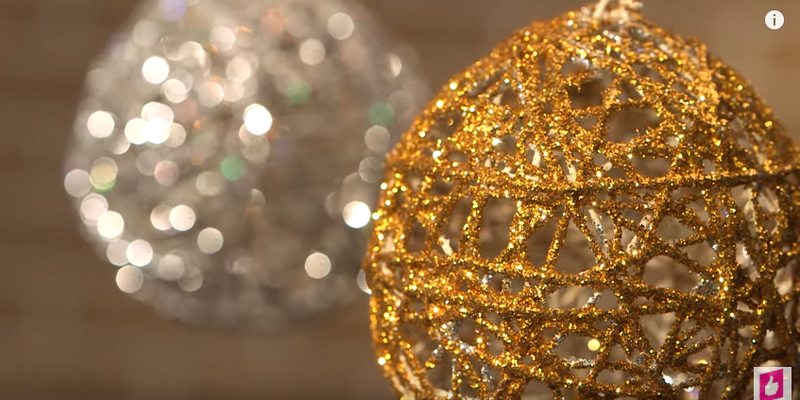 In this case, we chose this video that teaches you how to make beautiful Christmas balls to decorate the tree. All you need are colored balloons, thread and fevicol. Then, all you have to do is pay attention to this video and make your beautiful decorations. DIY decorations are super trendy these days and are a lot of fun to make. These are really simple to make and can make your home look really attractive. Brace yourself cause Christmas decorations are coming!